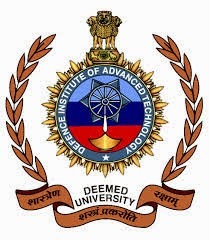 About Organization: The Defence Institute of Advanced Technology, (DIAT) as it is known today, came into being as the Institute of Armament Studies in 1952 in the CME campus. In 1967, the Institute was renamed as "Institute of Armament Technology, (IAT)", which moved to its present location at Girinagar, Pune. From the relatively narrow scope of Armament Studies alone in the Fifties, the role of the Institute was considerably enlarged by the Defence R&D Council in 1964 and further in 1981.